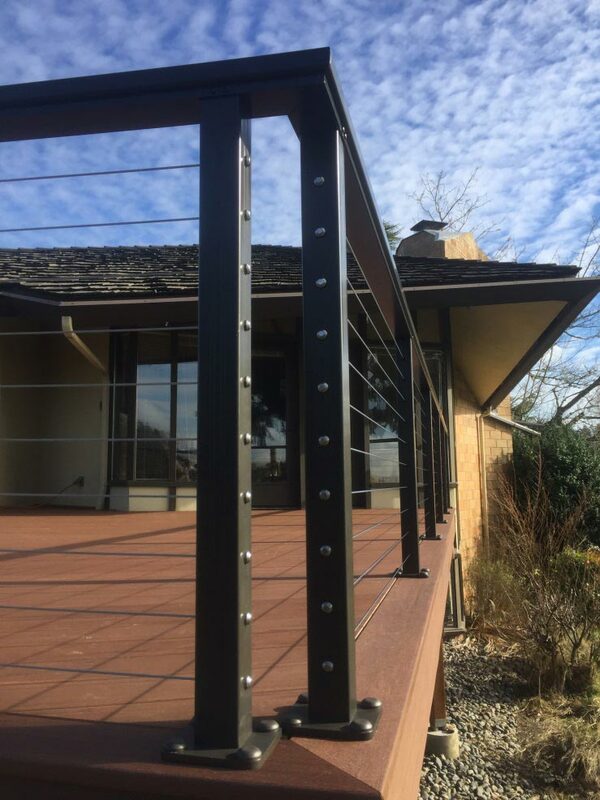 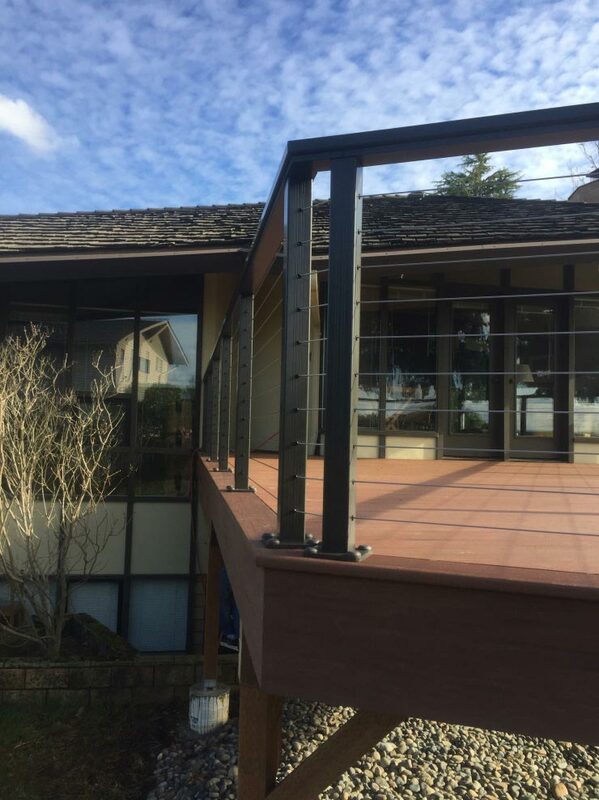 Our aluminum railing with cable infill is an excellent choice to freshen the exterior of midcentury homes. 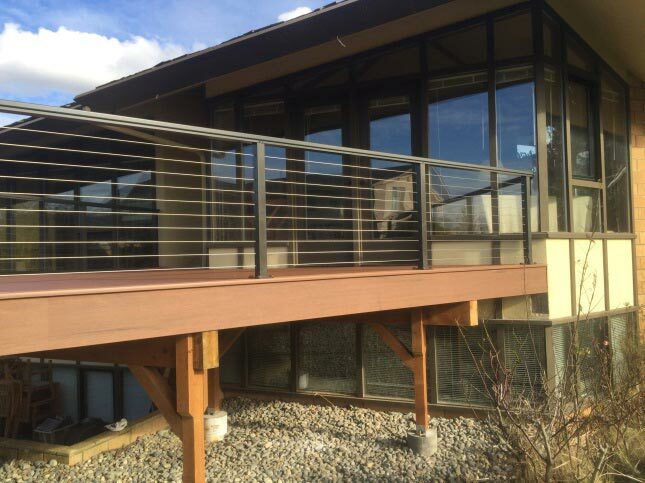 The horizontal cables fit the lines of the architecture while creating an updated appearance. 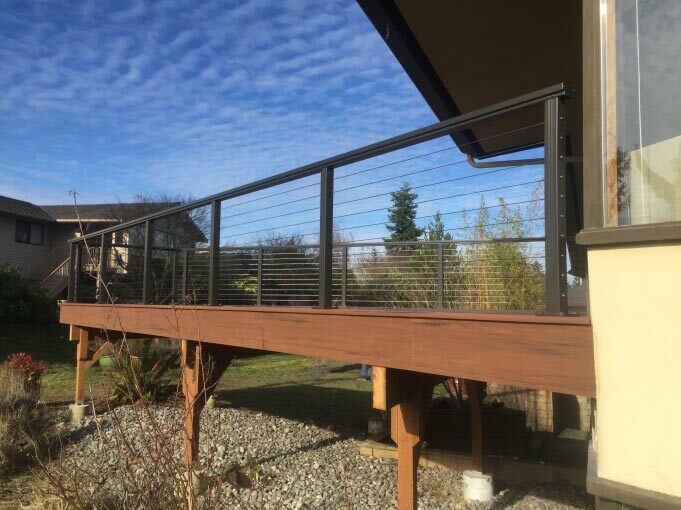 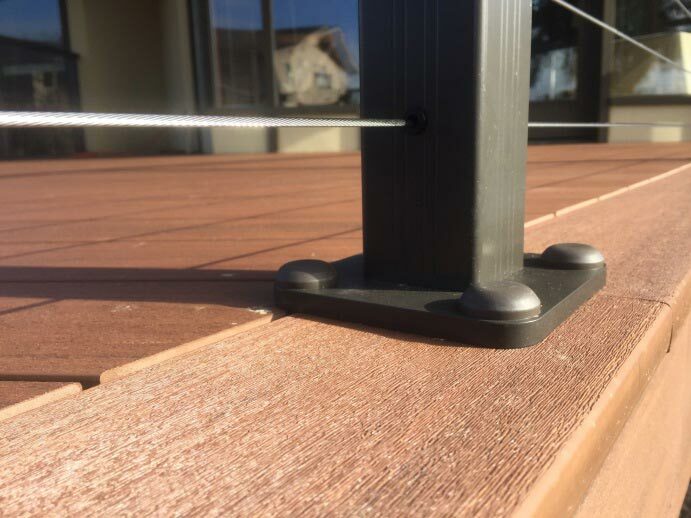 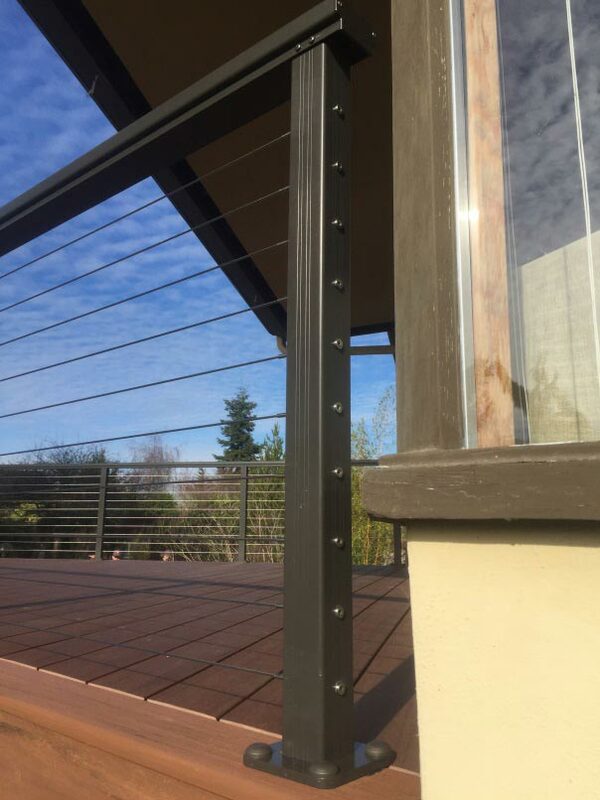 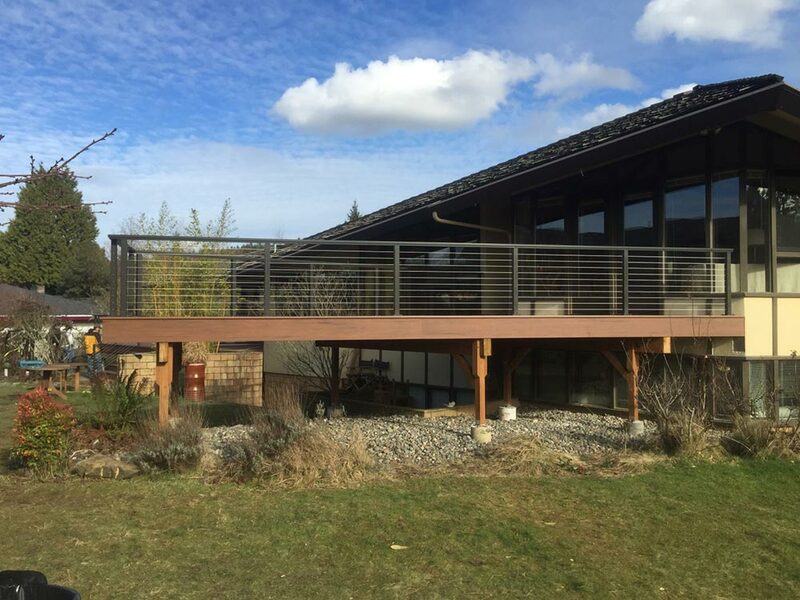 This railing was built a bit higher than code required to allow a code compliant graspable stair rail to be tucked underneath the deck's top rail. 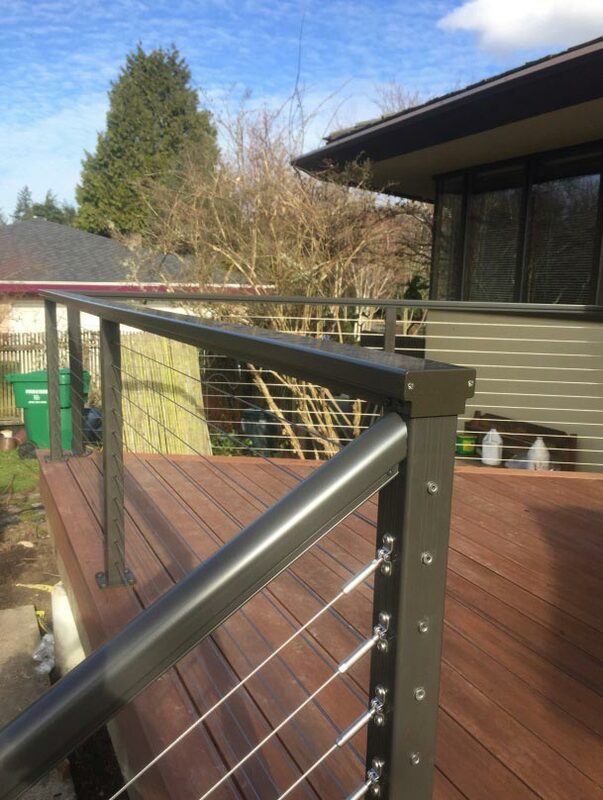 This railing was built a bit higher than code required to allow a code compliant graspable stair rail to be tucked underneath the deck's top rail.